ITC's Annual Report provides a broad overview of what the organization accomplished in 2017. It briefly describes the work of each of ITC’s 15 programmes to leverage the power of regional and international markets for inclusive growth and job creation. A dozen case studies illustrate how ITC projects from Colombia to the Philippines contributed to achieving the Sustainable Development Goals. Three ‘ITC Innovates’ stories highlight promising new initiatives to create trade impact for good. The report will serve as the basis for discussions at the 10 July session of the Joint Advisory Group, where government delegates will review the agency’s work, and make recommendations for ITC’s future operations to its parent organizations, the United Nations and the World Trade Organization. 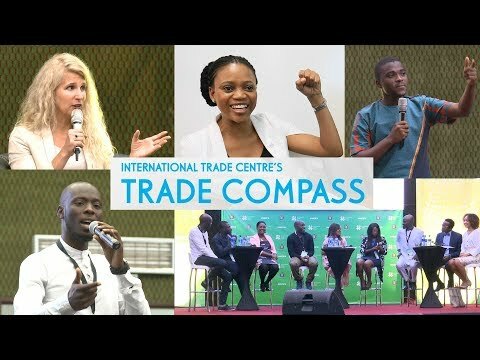 Some highlights from 2017, a year in which global trade was marked by both healthy growth and major political headwinds: ITC’s technical assistance and capacity building continued to make trade work for people and communities at the base of the economic pyramid. Fully 86% of country-specific assistance went to priority countries: least developed countries, landlocked developing countries, small island developing states, fragile states, and sub-Saharan Africa. Together with partners, ITC set up new trade and market intelligence tools such as the Global Trade Helpdesk, a one-stop shop for micro, small, and medium-sized enterprises (MSMEs) to access information on exporting to target markets. Creating employment opportunities for women and young people was a prominent focus of ITC’s interventions, as was creating digital solutions to connect MSMEs to international markets. Triangular cooperation emerged as an increasingly important part of ITC’s portfolio, reflected in initiatives to boost African trade with China and India, and to bring Costa Rican investment promotion expertise to agencies in Africa.